"Elite capture": according to a World Bank report, the people and organisations that tend to benefit the most from “community driven development” or CDD projects in poor countries are those who already enjoy privilege and power at the local level. "The insurgents have the most modern weaponry. They seized the weapons when France and its NATO allies destroyed Muammar al-Quathafi's government in Libya, freeing up large arsenal of arms to any armed militia that could carry them away. So France is trying to clean up a mess it helped create. Even if the insurgents are pushed back, France and its NATO allies may not be in a position for long-term commitment to Mali's security -- at some point France will withdraw, especially if the conflict starts affecting Hollande's political fortunes back home. France is not committing armed forces in Mali out of the goodness of President Francois Hollande's heart. Mali will have to pay, probably with resource concessions -- the leadership will also become even more beholden to France for years to come. Empire never works for free. There are many hidden hands fueling the conflict in Mali. Two years ago the United States sent Rangers supposedly to hunt for Joseph Kony, the Lord's Resistance Army leader. Why no update on this hunt? What have the U.S. forces been doing as the Seleca rebels marched towards Bangui?" "94% of humanitarian funding went to donors' own civilian and military entities, UN agencies, international NGOs and private contractors." "You can look at procurement databases to track primary contract recipients, but it is almost impossible to track the money further to identify the final recipients and the outcomes of projects." "Breaking the figures down by donor isn't much better: 60% of US-disbursed recovery funding is "not specified" (pdf), as is 67% of Canada's aid to Haiti (pdf). Data for the European commission shows that 67% of humanitarian funding and 43% of recovery funding is to "other international NGOs" (pdf). Data reporting becomes even more opaque when one looks for the specific organisations, agencies, firms or individuals that have received grants or contracts in Haiti. Detailed financial reports and rigorous impact evaluations are hard to find." "Of the thousands of projects being run in Haiti, we found only 45 organisation- or project-level evaluation reports at the end of 2011. A total of 23 reports do not have specific project data and only four have any specific detail about how the money was spent." 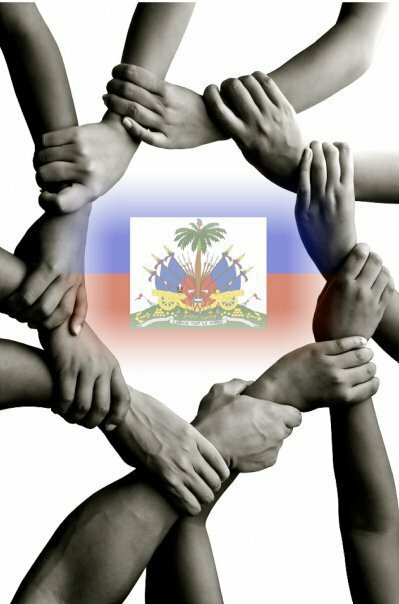 "The Government of Haiti has received just 1 percent of humanitarian aid and somewhere between 15 and 21 percent of longer-term relief aid."